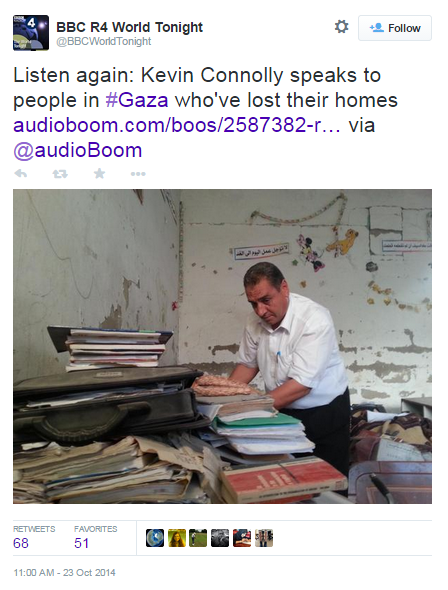 Yep Israel should have blown Gaza into the sea, never to be heard of again. But of course they had to use kid gloves on them. God will not be so kind to the Arabs! For “context” read “Israel-centric perspective”. Ah, yet another unhinged bigot. Yes, it must appear to you that there are several billion of us. Sorry about that. Cockroaches are far more numerous than humans. Numbers alone do not denote a higher life form. Allow me then to pay homage to you, the higher life form, on behalf of all inferior human life forms. All seven billion of us. Plenty of people thought the earth was flat. The Jew-haters are scum, regardless of their number. 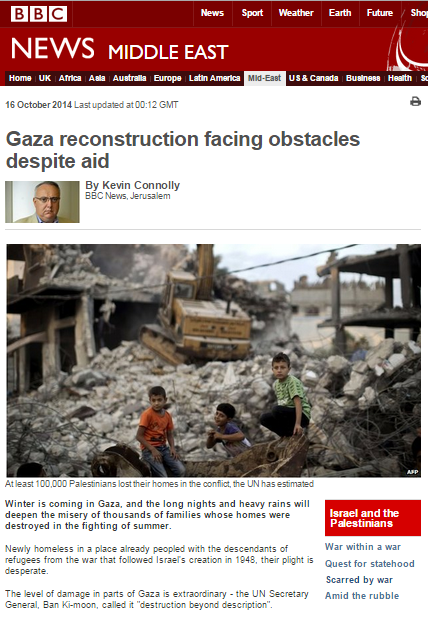 Now piss off to Mondoweiss or whichever other sewer you climbed out of. Leah, I am sorry that you nurse such hatred towards non-Jews, but I suppose it is better that your racist views are displayed as obviously as they are. It is an ugly beacon, but it helps the rest of us navigate around your obnoxiousness. Leah didn’t mention anything at all that could possibly be construed as hatred of non-Jews. She spoke of Jew-haters (a.k.a antisemites) ONLY. The two are most definitely NOT the same. Either your powers of comprehension of your own mother tongue are sadly lacking, or you are attempting maliciously to attribute views to her which she has at no time expressed. What a good thing it is then that other people here CAN read English. Shouldn’t you be crawling back under your little bridge now? the Billy Goats Gruff may come passing you way! Oh, Yorkie. It’s good that you got it out in the open too. Although in your case, it’s a fairly inconsequential addition to a compendium of vices and inadequacies which were already plain to see. I’m puzzled about one thing, though. What language is it that you guess is my mother tongue, and on what basis do you assess my proficiency therein? If I may make a suggestion (with some humility since English is not my first language): I direct you Ernest Gowers’ guidance on the splitting of infinitives, in “Complete Plain Words”. Look it up. Implement his advice, and maybe in some small way you won’t sound like such a nincompoop. Goat curry is one of my favourites. Yes, that source is fine too, if you prefer. Now, apply their advice and rewrite “you are attempting maliciously to attribute views” as “you are maliciously attempting to attribute views” or “you are attempting to attribute views maliciously.” Either way, much less clumsy. @Somewittyhandle. Duncan, perhaps you would like to remove the beam from your own eye before you point out the speck in mine: If you were to refer to a modern reference on English grammar, rather than something that was actually written in 1948, you would see that no-one pays any heed to split infinitives in all but the most formall writing any more – although I admit the wording of that sentence would have been slightly more elegant without it. (Unfortunately, although they are a boon for connectivity on the go, one of the pitfalls of writing using a small tablet is that it is harder than usual to write at an acceptable speed and still properly track one’s output, particularly as presbyopia sets in with advancing age.) On the other hand, writing accusations that don’t stand up to even the most elementary logical scrutiny, the use of offensive language to others, and attributing words and thoughts to people who have not expressed them, go well beyond matters of grammar, and are, and always will be, unacceptable under any circumstances. Your reference to my ‘compendium of vices and inadequacies’ is quite laughable, since you know nothing at all about me, whereas your ill-advised penchant for plastering your personal matters and musings all over the internet means DO know quite a bit about you. One assumes your blog contains only what you wish the world to see of you, but believe me, I am doing you a BIG favour now by advising you that the things you write there very often do NOT show you in anything like a good light. You come across generally as arrogant and narcissistic, with an overweening sense of your own superiority, but unfortunately so self-absorbed as to be rather boring.You are publicly and openly hostile there about your ex-wife – the mother of your two eldest children, and as I understand it, still the joint custodian of one of them -which is not only extremely unseemly and ungentlemanly, whatever the circumstances, but must also be rather difficult for these children, who presumably love you both, to see. They must find themselves in an a dilemma of inevitable disloyalty to one or other parent, however they might decide to react to such instances. You also show a marked lack of respect for MOST other people you choose to mention in your (public) blog, outside of your own family, e.g. your son’s teachers (which can’t make his school life any easier) and also your foreign business contacts (the episode about the Chinese toilet was most unedifying and quite unnecessary). And then, after all these examples of poor manners, poor judgement and general disregard for others, you come onto this blog, and as detailed above,you let yourself down even further, which flies even more in the face of your attempts in your own blog to portray yourself as some suave, eudite, intellectual type. And after all this, you STILL try to put yourself forward as somehow superior to the other readers here! Well, speaking for myself, I do not consider you to be in any way superior- but for the reasons I have detailed above, and crtainly NOT for the reasons you have tried so very hard to insinuate recently as being prevalent amonst the readers here. Yes, I can see exactly where you are trying to take that one, Duncan, but it’s simply not going to work with me: I can assure you right now, you are barking up completely the wrong tree here! Yorkie, I confess that my first instinct when I saw your (very lengthy) comment was one of riposte. A number of things, at first glance, seem to demand this: it seems to me that this BBCWatch blog (with whose points I often disagree, but whose author undeniably puts in a lot of time, commitment, research, and energy, and so is really deserving of a great deal of respect) is not the appropriate place to go into a lengthy diatribe about your or my personal shortcomings, less still the deficiencies of my blog. This site is supposed to be about the BBC. My blog is about something else altogether, and is of no relevance here. It also struck me as a bit odd that you should consider it worthy of your time to spend so long reading and dissecting my personal blog, and that you should take such exception to its existence. It’s not unusual: there are millions of them out there on WordPress and other blogging sites. I wouldn’t really expect a stranger such as yourself to find anything of interest in mine, still less feel the need to give it the benefit of his critique. But if you did, I’d venture to suggest that the appropriate place for that would be on my actual blog, not here. Some of your observations puzzle me: I don’t think I’ve ever made reference to an ex-wife, hostile or otherwise. In any case, the blog is generally read only by a handful of members of a creative writing circle which emigrated from Xanga years ago, and is expressly fictional in content (at least 80% fictional, as is often the case with fiction), whether written in first or third person. Reported trips to China need not necessarily cause you alarm. However. Putting aside my initial knee-jerk, I suppose I do see your point. I have been rude to you previously (I did react defensively to your initial contact, where you referred to me as ‘Someshittytwaddle’) and we seem to have become embroiled in an ever-descending cycle since then. And, re-reading my part of the subsequent exchanges, I confess I do understand your criticisms. I apologise. Let’s just draw a line under the matter and start again, shall we? But either way, you may want to reconsider including the direct link here in future. Count me with the bigots. Some of these folks are real charming. So far, by their telling, you’re an unhinged bigot, a cockroach, a low life form, a jew-hater, scum, and a sewer dweller. They got all that out of your five-word sentence on ‘context’. I’ll stay and watch the fun. Ok, now you really picked up a freak. Now you got narcissistic, offensive, retarded, self-absorbed, boring, poor manners, disregard for others, disrespectful, unedifying (had to look that one up) unseemly (! ), and ungentlemanly to add to the list. I guess that means they disagree – with whatever it was, darned if I even know. I appreciate it, Yorkie, and no, you are not gullible. I am quite sincere. Happy to start again. I do take the point about the blog being visible. I’m still not all that savvy with WordPress, and must try to figure out how to change the ‘privacy’ settings. Xanga was more of a ‘let it all hang out’ community, and nobody fussed about such things. However, the world has changed somewhat.